1. Helium is the second most abundant element is space, first being hydrogen; though, it is present in very small quantities in earth’s atmosphere. It’s source on Earth is attributed to decay of radioactive elements and cosmic rays. About 3,000 metric ton of Helium is produced every year by radioactive decay of Uranium and Thorium. 2. Helium is so light that not even the Earth’s gravity can retain it on the ground and therefore, it keeps escaping into space as soon as released. Extraction of helium is a bad idea though, as it can be very expensive. 3. It is common to see helium filled balloons. NASA is doing the same thing and much more, on a larger scale. NASA makes ultra balloons which are filled with helium and therefore, can be raised 6000 to 110,000 feet high; which means they is can escape 99% of Earth’s atmosphere. ULBDs are made to carry heavy tools into space to study cosmic rays. 4. 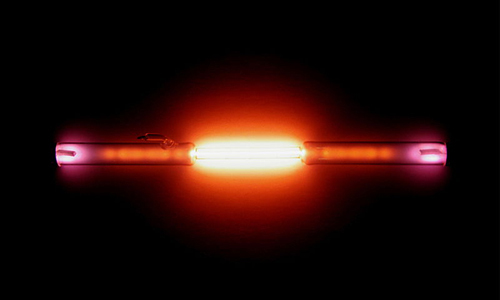 Helium can show superior properties at temperatures close to absolute zero. Ultra amazing shows similar characteristics that flow with zero friction up and over the walls of the container and therefore, is heliping scientists to unravel more mysteries of physics and life. 5. Helium is the first noble gas which means that it’s Octant are complete. That is the reason why they generally do not interact/ react. It is one of the two gases that does not bond with any other element. The other one is Neon. 6.Inhaling helium sound varies from person’s voice temporarily. This looks like a cartoon character voice. Reason- helium is very less dense gas and less denser gas the vocal cords are surrounded by, more they vibrate which increases the pitch of the voice. This activity should be performed with caution as inhaling too much helium will lead to suffocation due to derth of oxygen. 7.The use of a mixture of 20% helium and 80% oxygen as diver’s artificial atmosphere in the deep sea, and for others who are working under high pressure conditions. It is used to reduce oxygen. 8. Helium got its name from the word “Helios”, a Greek word that means the sun. Many years before it was discovered on earth, it was first detected on sun during solar eclipse as an unknown yellow line with a wavelength of 587.49 nm. It was discovered on Earth much later as a line of same wavelength coming from Mt. Vesuvius. 9.Helium is continuously produced in the core of stars and planets by a phenonmenon called nuclear fusion. Due to high pressure hydrogen keeps converting into helium which serves as a source of energy that creates heat and light. 10.In 2010, at Macy’s Thanksgiving Day parade, 300,000 cubic feet of helium was used to float 15 character balloons. That is a value equivalent of 2.2 million gallons of milk!